Or, get it for 93200 Kobo Super Points! This unique and richly illustrated volume presents the state of the art in the comprehensive management of major neurosurgical diseases in the elderly (aged 65 and over). 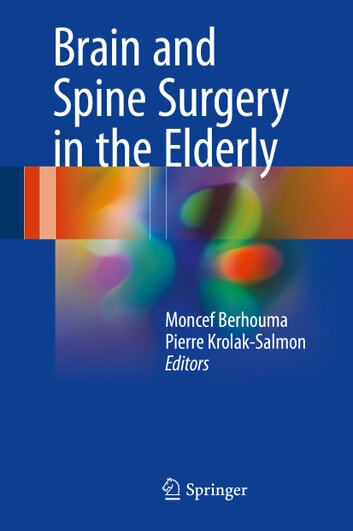 It explores all of the common neurosurgical pathologies affecting elderly patients, and emphasizes the paramount importance of tailored management strategies for quality of life. It highlights updated techniques for anaesthesia and critical care, as well as minimally invasive neurosurgical methods intended for this specific group of patients. Radiosurgery treatment is also discussed, in particular for brain tumours. In western societies, the proportion of elderly citizens has nearly reached 20%, and shows no signs of slowing down. The management of neurosurgical conditions in this particular population requires specific multidisciplinary strategies. 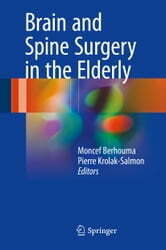 To address this situation, a team of internationally respected contributors accurately describe degenerative and traumatic spinal diseases, which account for the majority of admissions among the elderly, as well as brain tumours and intracranial haemorrhages, aspects that are raising new ethical issues. The book mainly addresses the needs of neurosurgeons and geriatric neurologists, but also neuro-oncologists and neuro-anaesthesists working with elderly patients, as well as students in these disciplines.